That's more like! Have a click on our poll at the bottom to let us know who you thought was man of the match. Called upon most in the second half and had an answer for all but the goal, for which he didn't have much of a chance. Good distribution, really encouraging performance and a couple of top saves. Looked so much more accomplished and capable than both Adam Matthews and Donald Love. Fully expect him to stay in the side after today. A couple of daft tackles in the first half, but contributed to a generally solid defence. Continues to reaffirm reputation as our best centre back. Gives a lot more defensively than Bryan Oviedo, I thought he was great. Made some excellent runs, showed good ball control and deciseful passing. It was interesting to see Oviedo play in front of him late on - possible option in the future? Probably his best performance from us so far, though I wish he'd put in a few more tackles than he does. Best of the three midfielders, he was popping up all of the shop and Rochdale's midfield didn't have an answer. Canny. 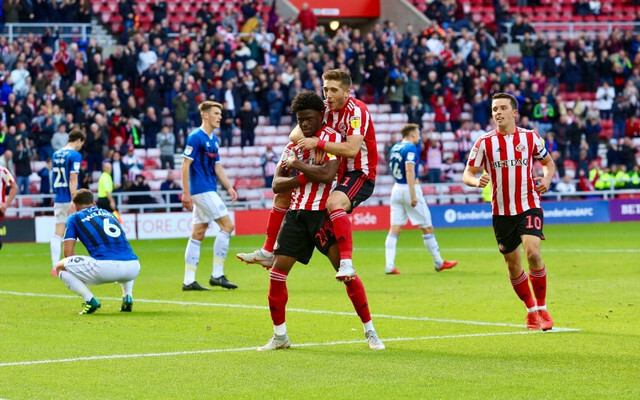 Need to take him off corners, the energy in our midfield helped us dominate this match and Honeyman was a reasonable sized chunk of that. Superb, everything good in attack went through him. His movement was fantastic. Two goals, including a tremendous solo second, still gave the ball away frequently but this is the sort of performance we need to see more often. Toss up between him and Maguire, but I always favour the goalscoring striker. He is so clinical in front of goal it would be no surprise to see him top the League One goal scoring table come May. Need to get this contract sorted out. Some decent skill and good pace, but nothing came off for him. Should've done better with his chance, good to have him back and what an option to have on the bench in this division. Came on late to play left wing (probably where he has always wanted), did have a right footed effort at goal. Who was man of the match against Rochdale?